Assassin's Creed Odyssey DLC Dates | Nerd Much? 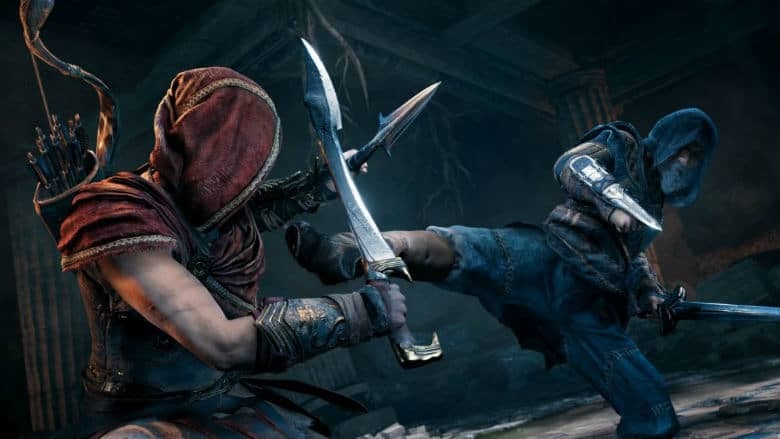 If you were one of the many that fell in love with Assassin’s Creed Odyssey late this year, Ubisoft has some good news for you. The publisher revealed their Assassin’s Creed Odyssey DLC dates, with the first release coming next week. Ubisoft didn’t give exact dates for Episode 2 and Episode 3 of Legacy of the First Blade. They did announce their titles though. Episode 2 will be known as Shadow Heritage and Episode 3 will be dubbed Bloodline. Both are expected in early 2019 across all platforms. Another episodic story arrives after Legacy of the First Blade which Ubisoft has named The Fate of Atlantis. Both comprise what the publisher is calling their “biggest and most ambitious” post-launch plans for the franchise. You can get access to it all via the Assassin’s Creed Odyssey Season Pass which is currently going for $39.99.